We are giving below the format of Complaint Letter which has to be submitted to the Railway Police personally if your mobile handset is/was stolen (pickpocketed) or missing during Railway travelling. You also have to submit the copy of the bill (Mobile Purchase), which contained IMEI Number along with this letter. 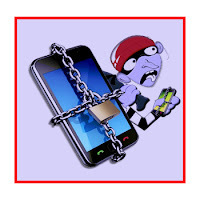 IMEI Number is necessary, if you don't have, then police will not register the complaint. I state that on _______ (date) at ______ (time) I was traveling by local train from ____ (Origin station) to _______ (Destination) when I boarded up in at the _________ Railway Station, my Mobile was along with me but when I got down _______ (Station) I found that my Mobile was missing. I state that in spite of my diligent attempts, I have been unable to locate my Mobile No. ________ & Mobile No. ___ (in case of dual SIM card) Model No. ____________, IMEI Number. _________________. I am filing this complaint before the ____________ Railway Police Station for Loss of the aforesaid Mobile handset. I request you to investigate this matter and return my mobile as early as possible.